The gorgeous berry bowl was a Christmas gift from my mom and the bunny plate a perfect match I found at Winners. 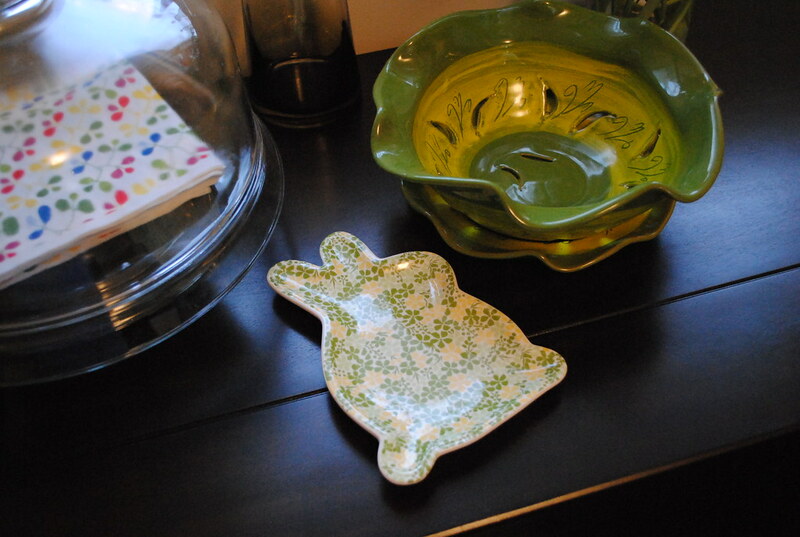 Funny story: when I picked up that bunny plate, Winners only had two: this green/yellow one and a purple/yellow one. I bought both, and gifted the purple one to my mom with some bunny dish towels. I brought the gift up a few weekends ago and mom surprised me with a gift of her own: a bunny bowl (picked up at Winners). She bought me the pink one and kept the blue. The apple certainly didn't fall far from the tree, eh? 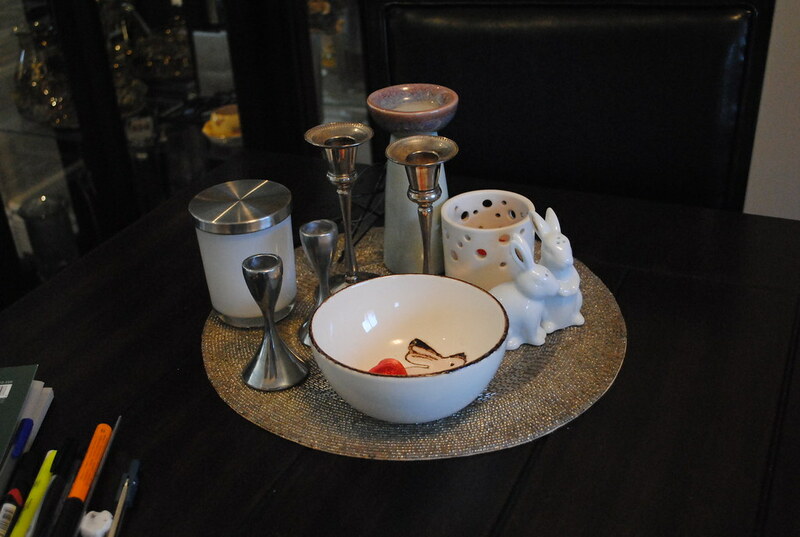 There's the cute bunny bowl from mom (along with some adorable rabbit salt and pepper shakers and beautiful silver candlesticks from Pat's memere)! 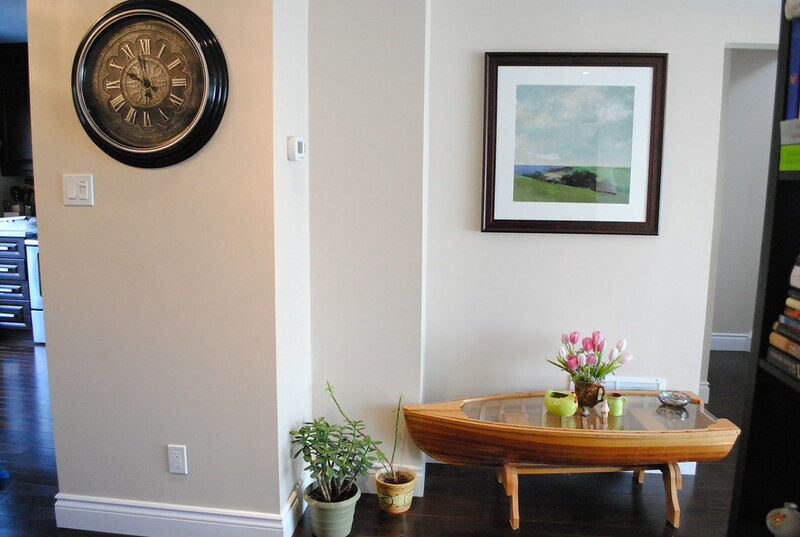 That's right - something else has finally been hung on the wall! 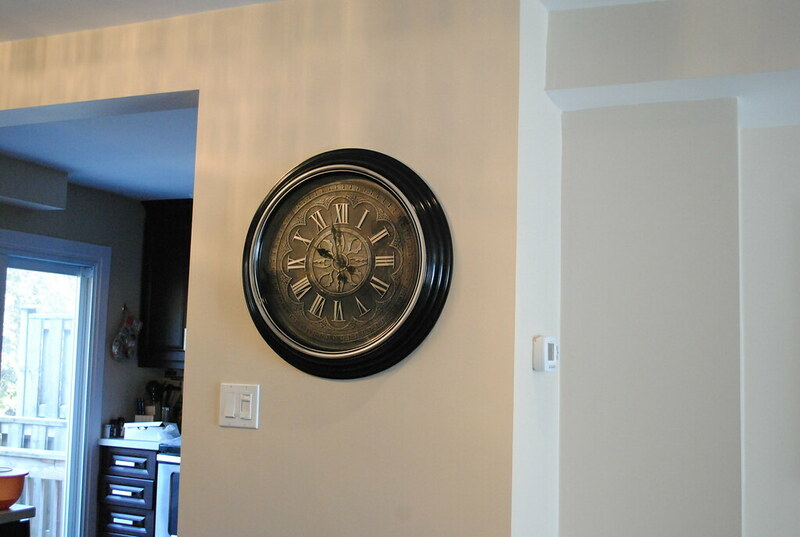 Pat found this clock at HomeSense - I think it's a great fit!